Over at Interesting Nonfiction for Kids, Elizabeth Rusch details the the field research she did for her latest book. 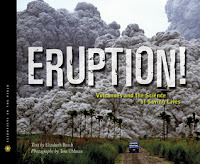 Eruption! 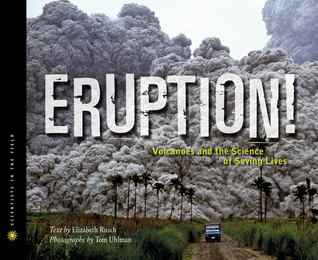 : Volcanoes and the Science of Saving Lives. Talk about dedication; you won't believe what Elizabeth went through to see a volcano up close. Read Elizabeth's post: On How Research Can Make You Throw Up. School Library Journal recently posted highlights from SLJ's Day of Dialog in New York. Picturing the World: Informational Picture Books for Children was this year's theme, and five authors and illustrators of children's nonfiction took part in the panel discussion. Naturalist and author/illustrator, Jim Arnosky, spoke about the inspiration for his work and writing for children. 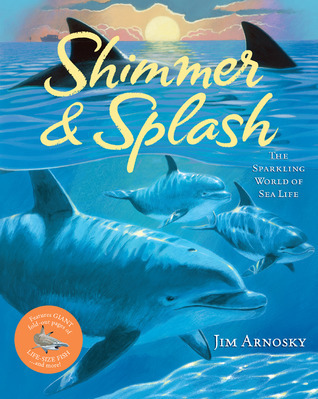 Arnosky's lastest book is Shimmer & Splash: The Sparkling World of Sea Life. Betsy Bird (aka: The Nonfiction Dialogue Stickler of Doom) takes on the issue of invented dialogue in nonfiction for children following Marc Tyler Nobleman's Horn Book article, Danger: Dialogue Ahead! Want to motivate kids to pick up nonfiction books for pleasure this summer? Show them book trailers. It can be tricky finding book trailers for nonfiction books as Travis Jonker pointed out in December in his blog post, A Humble Demand: More Nonfiction Book Trailers Please. It looks like Travis is getting his wish. Here's a book trailer for Bomb: The Race to Build- and Steal- the World's Most Dangerous Weapon by Steve Sheinkin. Thanks for finding the Bomb book trailer! I love the beat of it! I showed the trailer to 5th grade students, and they were really excited to read the book. Hopefully we'll start seeing more nonfiction book trailers in the future.